Home Albanian Blogger Computer technology: I hope to be around by then! Computer technology: I hope to be around by then! You all know I am a technophile (I love technology). So, just this morning as I was waiting to start my normal work day I read an article on Technology Review (one of my favorite technology news sources) which talked about the end of Moore’s Law, which says that roughly every 18 months the amount of computing you get for a buck doubles. 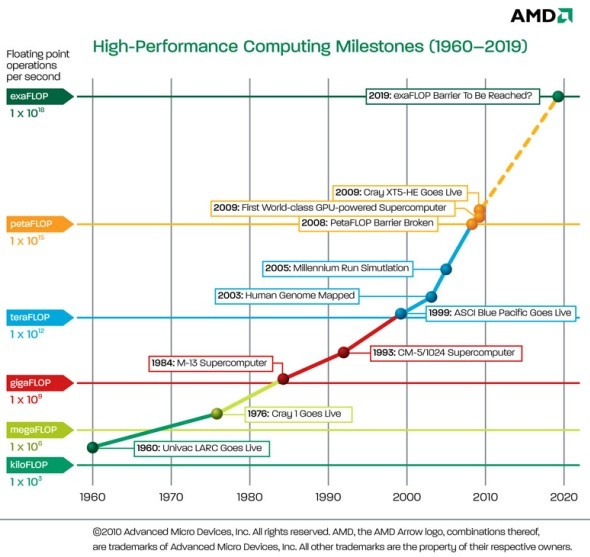 The High Performance Computing expert Thomas Sterling, that was interviewed to talk about his predictions/calculations about the end of this era of technology based on chips, says that roughly around 2019 the current era of silicon based chips will not be feasible any more. Anyway, I do not mean to go any deeper into this as it is relatively abstract to most of you, the end of the article talked about how by the end of this century computers will be expected to work at a completely different level and format. I know Albanians will be able to benefit from these types of technologies as well in the future. Meanwhile, being aware of how technologies have changed and progressed just these past 30 years (since I’ve been alive) the only thing I am wishing at this point in time is to want to be around by that time. Next articleTirana, the unbearable city in the summer!